The title of this Tasty Tip might sound a little misleading. Usually, de-glazing a pan is part of a recipe. You pour wine or broth into the pan that you’ve just cooked meat in and scrape the pan, helping to loosen up the browned bits on the bottom of the pan. It’s usually a starter for a sauce to accompany the meat and it’s a great thing. But my de-glazing is a cleaning tip. After I’ve made something in a pan and there is residue sticking to it, I serve up the food then get that hot pan right to the sink and pour water all over it. This involves a hissing noise and lots of steam. Do I care? I think we all know the answer to that one. 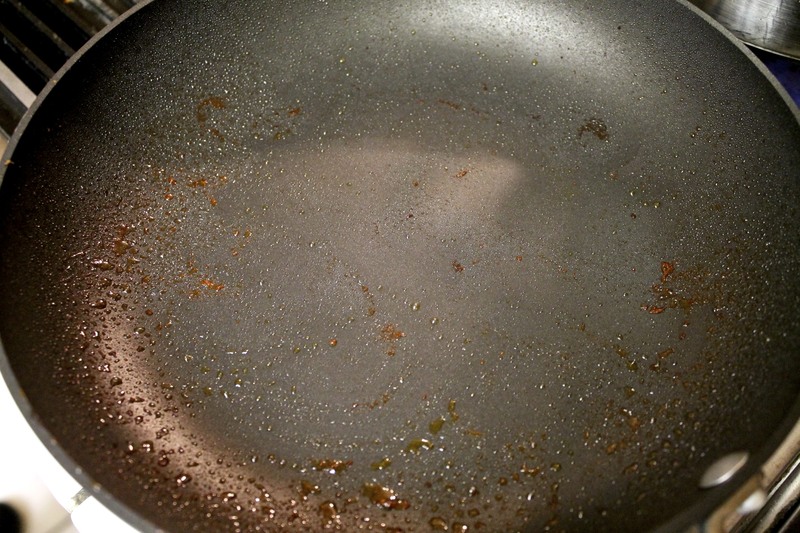 Rinsing your pan out while it’s still hot effectively gets off everything that could potentially stick. It’s amazing and makes your clean-up much easier and faster. Just be sure to use hot water, not ice cold water, as cold water could warp your pan. So ignore everyone else’s reaction and “de-glaze” those pans with water as soon as the food is out of ’em. This is a GREAT tip – and one I can say that I do probably because of OCD!! ha!!! I am always steaming up the kitchen sink when I do cook with any pots, pans or hot dishes! Hard to believe that people wouldn’t do this? (and I do get yelled at for not sitting down right away!) ha!